The next time you come across an article instructing you to praise one aspect of your child, but not another… click off it! The problem with these articles is that it gets us all confused and overthinking our parenting. The next time your little one does something great, you’ll find yourself hesitating before giving him an “Atta-boy!” You’re not going to praise him so much that he turns into a lazy, complacent adult! You’re just not, I am sure of it. Wanna know how I know? Because you are here! 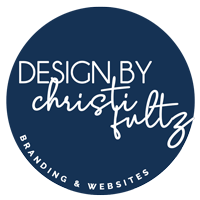 On a blog that focuses on child training and good parenting for raising really great kids! You are being intentional. You’re a great mom! (see what I did there? :) Click here for a list of great parenting books. And here for wholesome child DVDs. 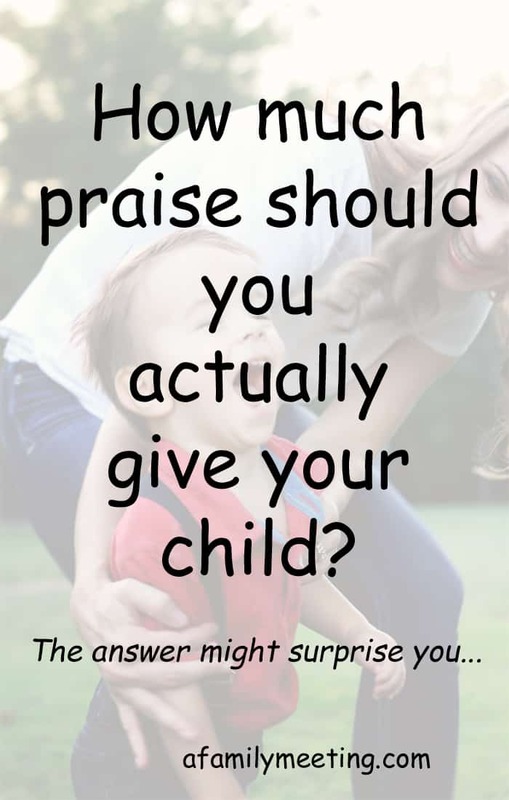 When should you praise your child? Smarts. Giftings. Talents. Obedience. Ability. Effort. All good reasons to praise. Walking the tightrope of praise is not nearly as complicated as folks make it out to be. 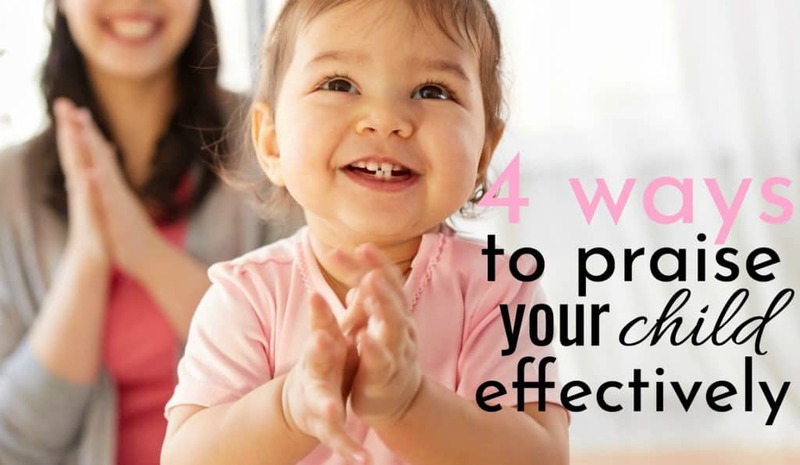 There is one short little sentence – a single tip… to know when to praise your child. I’ll give you that precious tip… in a few minutes! Make sure you know what praise actually is. The word praise has two different meanings: Verb: to worship, glorify and exalt. Noun: approval. Our topic of praise is a noun. Are you worshiping your child when you give him praise? I think not. Obedience. A child who doesn’t run out into the parking lot after being told to stay close to mommy… is a good thing! I like the word obedience. I’m a rule follower, so obedience makes sense to me. However, some moms prefer words like compliance or observance. It’s all the same. First-time obedience is a goal. Goals are achieved, not automatic. What you should say: ”Thank you for your right-away obedience.” “Your right-away obedience kept you safe.” “You benefit the whole family team with your right-away obedience.” Offer praise when steps are made toward the goal of obedience. Once during a mild Tennessee fall evening, my children were preparing for a night spent camping under the stars. The temperature was perfect. The weekend had come. Responsibilities were tended to. The evening was a mix of excitement and sighs of content. My son has become quite good at starting a campfire. He’s fine-tuned the art of layering, stacking and lighting the blaze. However, this particular evening it was my daughter who impressed us with her fire starter abilities. Not because she carefully crafted the kindling and logs. She did not put much forethought and planning into what she was doing. Her strategy for a rip-roaring fire? Her skilled technique for flames 3 feet high? Dump handful after handful of straw on the small flicker. Turn the flicker into a raging flame! Her response, when I asked her what in the world she was doing? “Mom, if you want a fire, you gotta start one!” And it worked. Strategy, skill, and method are good. They have their place in success, however, none of it means much if your child doesn’t have some zeal! Offer the loudest of applause for effort. What you should say: ”Crazy nice job putting all you had into that!” By the way. If someone truly puts all they have into something, it’s rare that it won’t be great. If choosing between an employee who was upstanding, trustworthy, honest and truthful in his dealings with others or one who isn’t—who is going to be picked? Keeping a job. Succeeding in a career. Making friends. Maintaining friendships. Not possible without good character. What to say: ”Great job lifting that person up with your kind words! You represented your family well with that positive action! Great job reflecting Jesus with selflessness!” Commend good character when it’s displayed. Your child’s abilities encompass her intellect, gifts, and talents. If she’s good at it due to hours of practice, it’s an ability. If she was born with the talent, it’s still an ability. These things largely define us. Ask someone to describe you. They’re likely to pick something you’re good at as a way to identify. Praising ability is an area people are uncomfortable with. The first example digs deep. It tells him, he is benefiting someone else, reinforces where our ability comes from and promotes the need to activate the ability he has. The second example is surface-y and makes a very little impact. She is who she is, on purpose and for a purpose. Joe McGee is a parenting expert I glean from a lot. He wasn’t afraid to tell his kids growing up, that they weren’t good at something. He also didn’t withhold affirmation in the areas they were gifted in. They’re all successful in their adult lives now. You are your little one’s #1 cheerleader. Your too-loud or reserved or sassy or shy child can grow to embrace who she is with the right affirmation. But you gotta give it to her. Click here for my favorite Joe McGee book. Each child has a life of purpose. Many adults miss out on their purpose altogether. Why-the-heck is that? I’ll tell you. Insecurity. Fear of failure and rejection. Low Self Worth. To name a few. “You were created just. like. you. are. on purpose. So was your child. Failure and rejection happen, it has everything to do with learning and nothing to do with you. “No one else can do what you can do.” “You have to do it or it won’t happen.” Be your child’s cheerleader! Alright, finally! 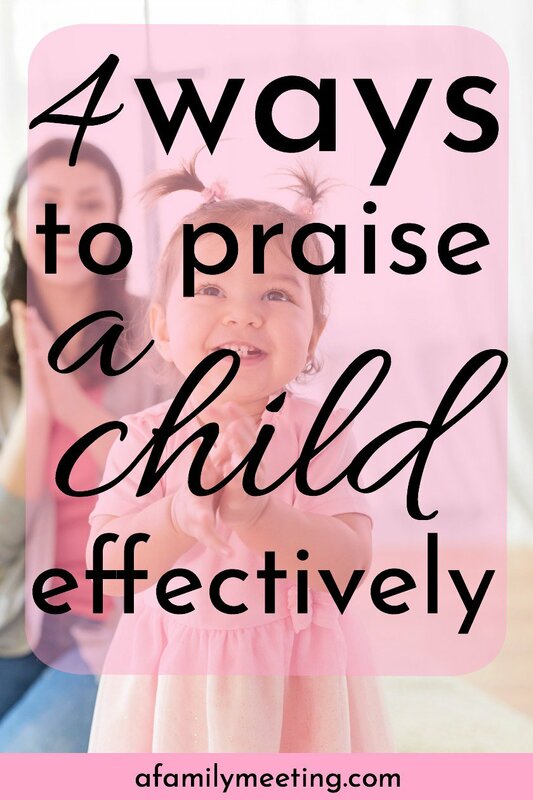 The brilliant way to know whether or not to praise your kids!…. I told you earlier that there was a really easy way to know what to praise. You ready to have your mind blown? Do I want him to do this again? If the answer is yes, praise the fire out of it. The ridiculous kind of praise. Dancing. Singing. Whooping it up. Getting over yourself. While kids see your silliness what they feel is; Oh, I love to bring my mom so much joy! (I’ll let you in on a little secret: this is a huge part of how all 4 of my kids were potty trained by 24 months! Just sayin…..) Knowing how to praise your child with words effectively is as important as knowing what to give praise for. It’s not your job alone. You can’t be the sole provider of affirmation for your child forever. Disappointment is inevitable. No matter the number of great things she accomplishes or the level of love and selflessness she shows, your sweet child will mess up. An affirmation more effective than yours is necessary. Her Creator is never frustrated by her actions, never questions her purpose. Your child needs His love to know her true purpose in life. « Is Intentional Parenting Really Necessary?